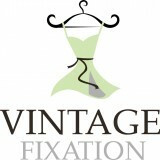 Vintage Clothing Online AustraliaSpecializing in unique, special and sophisticated vintage clothing for men and women. Vintage Emporium is a collective of 5 vintage sellers – fashion, and objets d’art, plus a great range of jewellery and fashion accessories. So come indulge your vintage desires be they for vintage bicycles, retro and vintage collectables or vintage fashion and accessories. A gorgeous little vintage, retro and classic clothing shop opened in late 2012 and really establishing a reputation for fabulous vintage and retro wears. Everyone loves a story and my customers delight in the stories attached to the vintage and retro clothing about their life before finding their way to Vintage Lady from those beautiful old country lady wardrobes. Vintage Marketplace is an online and physical storefront dedicated to finding the best and rarest pieces from all era’s. Concentrating on all things with a sense of nostalgia, Vintage Marketplace has very quickly become one of the most frequented Vintage stores in Australia, domestically and internationally. We specialize in Vintage garments and an exclusive range of beaded flapper dresses. Everything vintage plus vintage inspired handmade items. Open Thurs to Sun 9.30am to 5pm and also Wed 10am to 2pm.